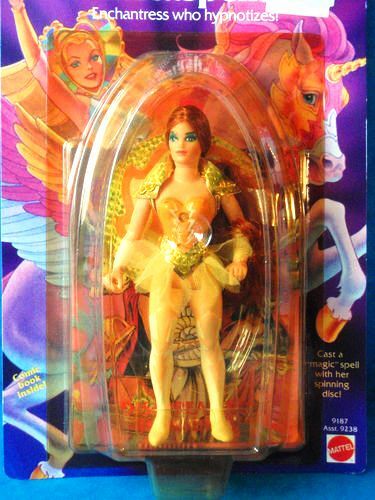 She's Fantastic: Masters of the Universe Classics CASTASPELLA! Castaspella comes with three accessories: A hypnotizing spinning disk, a shield, and an energy blast. The spinning hypnotism disk is a really cool throwback to the vintage 1984 figure where the toy instructions were to "Spin her Wheel" to cast a spell. The modern wheel has a waist clamp to attach behind her and it also can spin, but not freely. It's a really tight turn. However, if you set it down on the ground (like in the photo above) it acts as a spinning top. Here is the original toy. The wheel is basically identical. But it's pretty much the only Mattel detail that was carried over into the MOTUC version, the rest was pure Filmation. 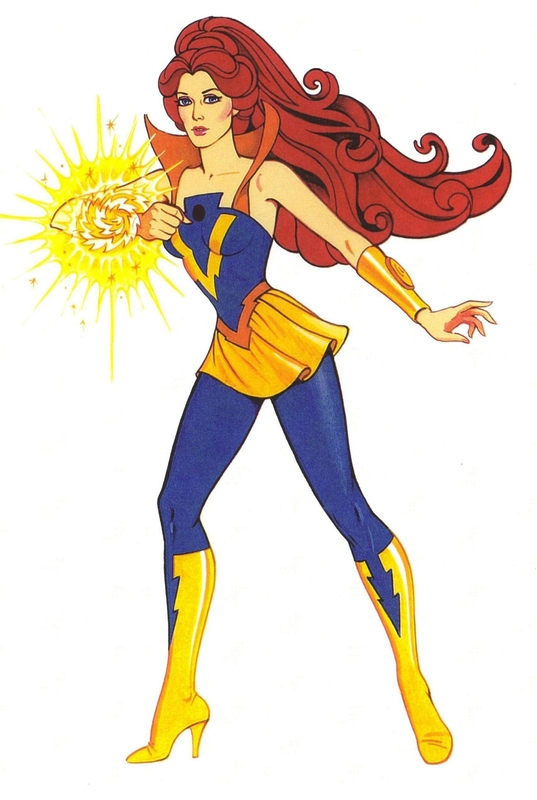 Her left hand is made of a really flexible rubber and can squeeze into the energy blast piece easily. I also found that she can hold the energy blast piece as a staff. I actually like it better as a staff. I thought the hypnotizing disk would look better if it were centered behind her head. Luckily the waist clamp can easily grip her hair as well. Here are an assortment of images of Castaspella. Here is the original series bible/style guide drawing of Castaspella. Tell me she doesn't look exactly like Celine Dion. And here is a young Castaspella and Shadow Weaver as sorcerer's apprentices. Nothing like a good animation remix. Check out this guy's other videos. He has one for all my favorite characters. On a random side-note.. as much as I would love to see Mermista next from MOTUC, three blue-haired girls might seem like overkill if the line were suddenly to go belly-up. I'd rather see Peekablue or Flutterina next. The new MOTUC ladies arrived for me in the post today! Stunning figures. Love how the Rebellion is filling out. I agree there is a lot of blue in that faction. Thankfully the Star Sisters break it up a bit, but it would be nice to see some figures without blue. I think that is limited to Perfuma, Double Trouble, Spinnerella & Sweet Bee. The main characters I am hoping to see in 2015, after Glimmer in February, would be Angella & Madame Razz. They are the biggest names remaining from the show. Castaspella is a beautiful sculpt. The hairdo is really cool. The fingers on her spell casting hand were a little warped on mine, but nothing too bad. Can't wait for Glimmer & Sea Hawk!! That's pretty amazing that you get them so fast. Do you get them direct from Matty? My sub figures came Wednesday and the Day-of purchases came Friday. We want the exact opposite POP girls! haha. 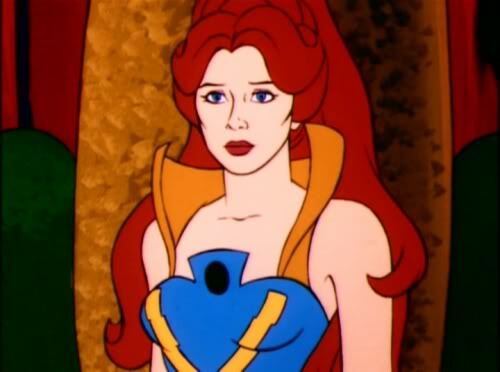 I like Spinnerella, but I can't imagine how she will look in MOTUC. Meanwhile I can envision Peekablue or Flutterina looking great. Sweet Bee was my least favorite character from the cartoon, but I'll bet with a proper modernization from the Four Horsemen she could make a pretty awesome toy. I would like to see Double Trouble just to get some green in the lineup. 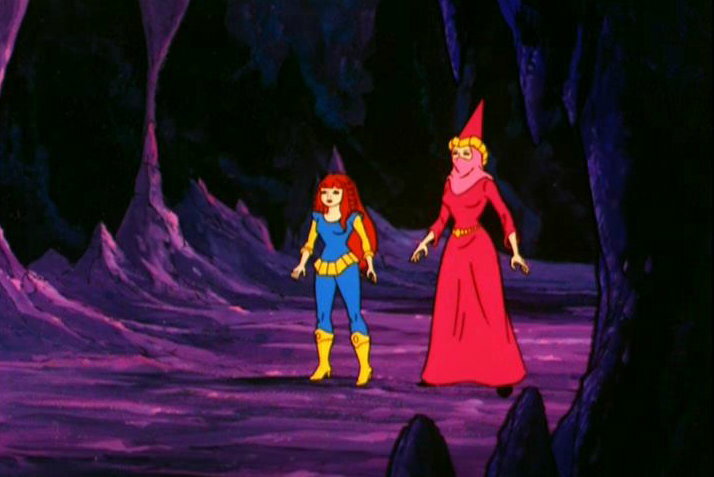 Madame Razz was rumoured to be an SDCC exclusive, so I'm hoping we will see her with Broom, Filmation Kowl & perhaps Lookee at SDCC 2014. Or maybe she will be a $30 figure like Ram-Man. Oh, & I am in a group sub for MOTUC. A guy on an Aussie collector forum gets the subs for several of us here. We decided to use the fast shipping this year & everything arrives really quickly! Interesting tradmark info! I'm not very tuned in to collector discussions so I miss out on a lot of news. Does that mean that Despera is trademarked by Mattel?? (his list is a little confusing) That could be kind of awesome. She falls into the same category as Huntara to me design-wise, but I would still be interested in seeing her in plastic. Awesome that you're able to subscribe like that. I like when collectors help each other out and aren't just bragging and scalping all the time. It seems Despera is trademarked. She should make for an awesome action figure! great review as usual. Will have to get her. I am trying to get all the MOTUC gals, so i have not sub. 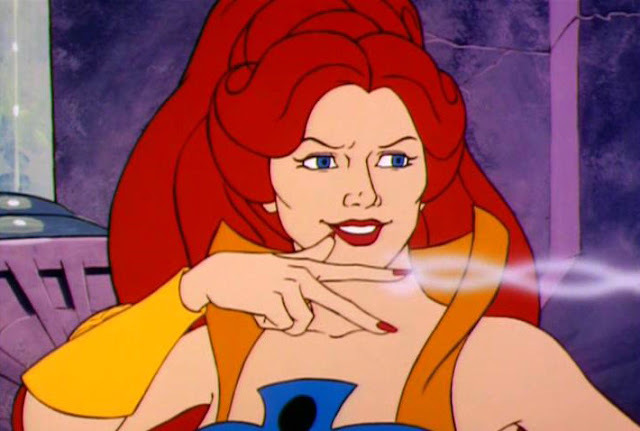 Its an extortion trying to get Shadow Weaver or the original Teela and Evil Lynn. It will have to be a once a year type thing...haha.